Scratch Map is brilliant! 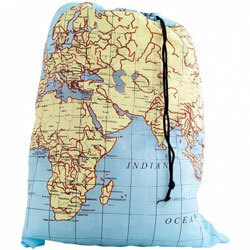 Its the perfect way to show off where you've been travelling while livening up your wall with a colourful world map. 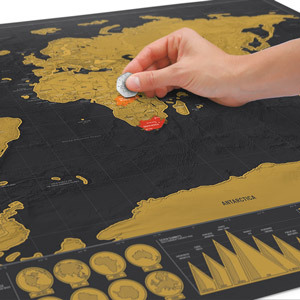 Scratch Map is a amazingly high quality, uber-massive wall map, featuring a gold top foil layer. Why? 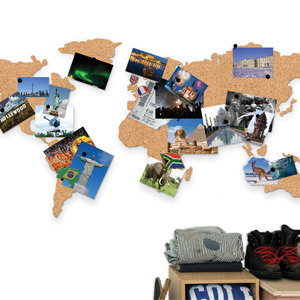 Because you get a unique, slick looking gold wall map to start with, and then scratch off all the places you've visited to reveal a whole new world below, featuring colour and geographical detail. 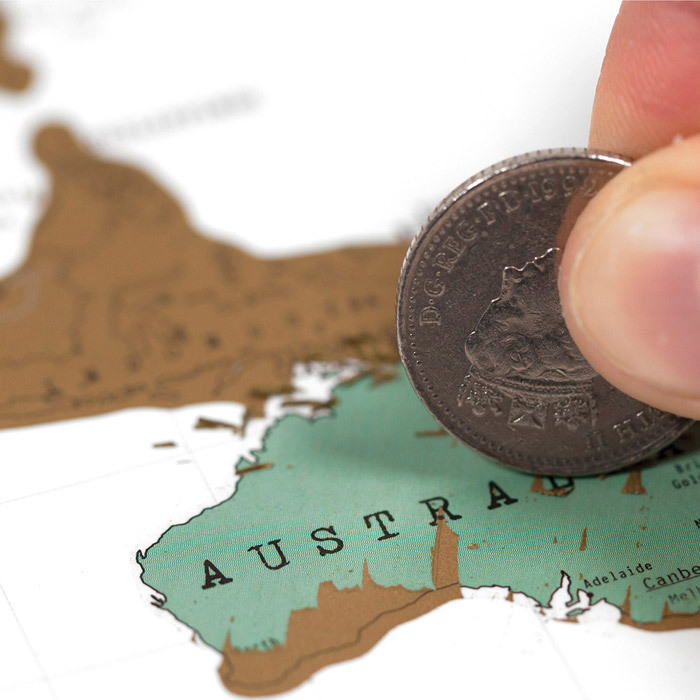 The result is a totally unique and personalised world map. What a great gift. 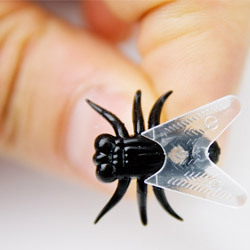 Comes packaged in a slick tube. 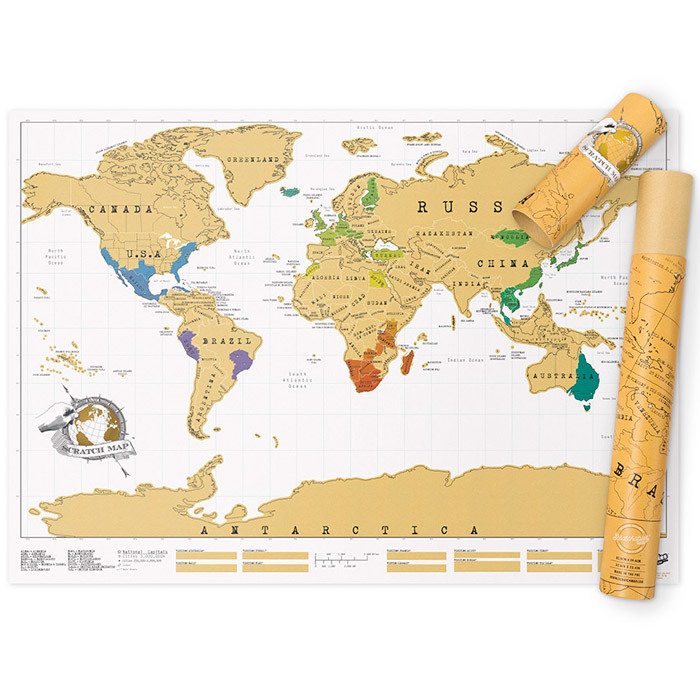 This 81.9 x 58.2 cm world map is based on the idea of the scratch card so you just scratch off the places you've been and bright colours will be revealed underneath. 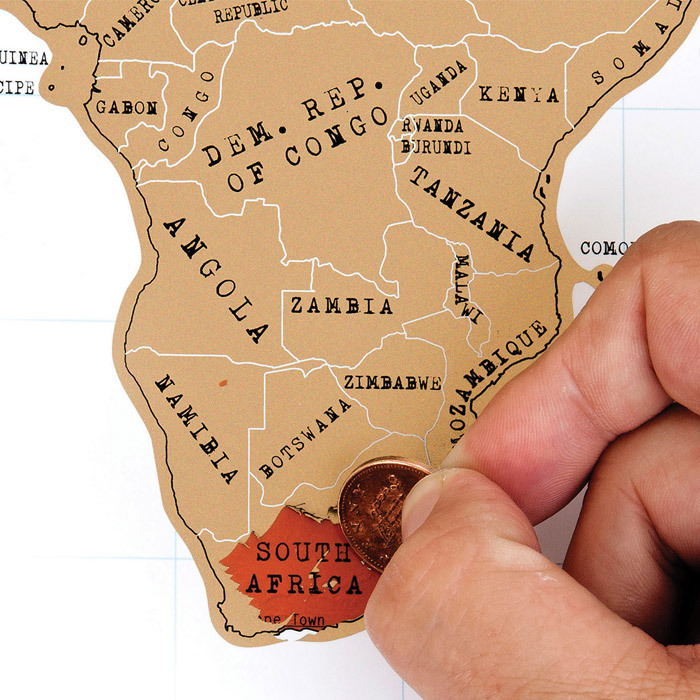 Scratch Map also includes facts about certain countries and cities. Fun for all the family.